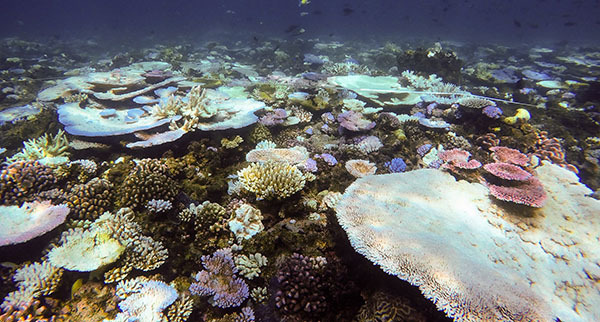 Multiple research vessels and island research stations are also documenting the coral bleaching, with in-water research confirming what is clearly seen from the air, that the majority of reefs north of Cairns are undergoing bleaching and that virtually all species of corals are being affected. Editor: A sustained El Niño event has kept water temperatures elevated in some areas for extended periods. From a March normal of 82ºF (27.7ºC), sustained heat/cloud/and wind conditions have the waters of the GBR 7ºF higher than usual—a lethal 89ºF or 31.7ºC. Underwater surveys show that the reef is more than 60% bleached, matching the extent of bleaching detected by aerial surveys. 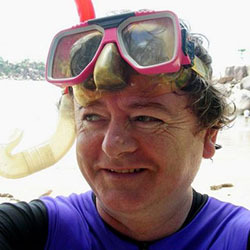 Image: ARC Centre of Excellence for Coral Reef Studies / Cassandra Thompson. 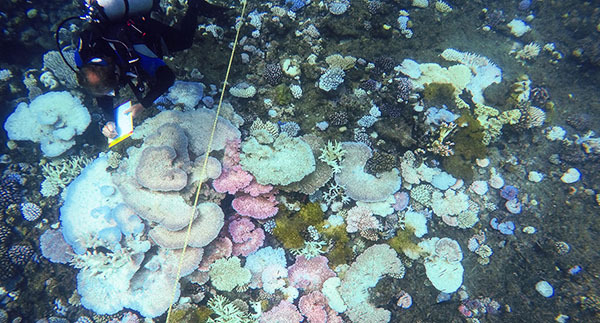 “We could see extensive bleaching even among the most robust ‘massive’ corals,” says James Kerry, Project Manager of the National Coral Bleaching Taskforce, who also participated in the aerial surveys. 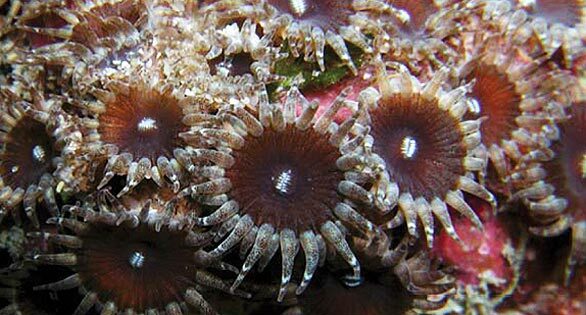 “The fact that these hardy species have also turned white shows just how severe summer conditions have become on the northern GBR. 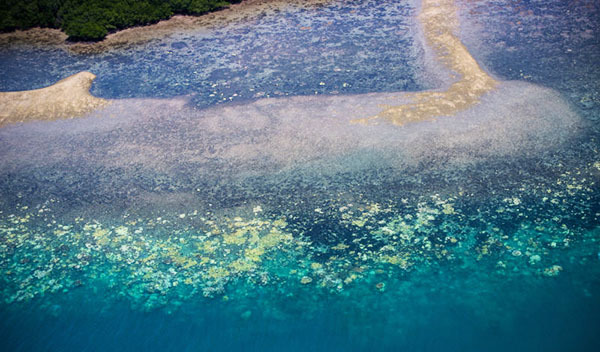 Aerial photography taken by the research group shows extensive bleaching, with white skeletons of stony corals widespread on hundreds of reef areas.